Our theme for giving this advent season is God's work. Our hands. Share God's love with our local neighbors and families across the globe. COMPLETED! 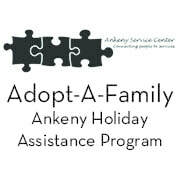 Eight Ankeny families received their wishes with Christmas gifts through the Adopt-A-Family project with the Ankeny Service Center. COMPLETED! 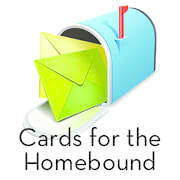 Hundreds of cards were delivered to 23 homebound members the week of Christmas. The smiles and looks of appreciation were evident. Thanks to all who took time to share a photo or write a message. COMPLETED! More than 300 items were donated by members to contribute to Children & Families of Iowa. Items included winter coats, sheets, blankets, detergent, personal care items and shoes. COMPLETED! Church members purchased and wrapped gifts for the Family Promise families staying at our church over Christmas. COMPLETED! $10 grocery store gift cards were given to our Holy Trinity Food Pantry guests the week before Christmas. COMPLETED! 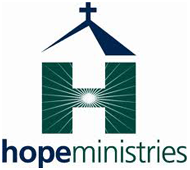 Members donated 240 pairs of men's socks, 137 pairs of underwear and 153 undershirts for the men served by Hope Ministries. COMPLETED! Church members purchased and wrapped gifts from the wish lists of 10 families living at the Lighthouse. COMPLETED! Church members purchased and wrapped gifts from the wish lists of 50 residents of MOSAIC. MOSAIC advocates for people with intellectual disabilities and provides opportunities for them to live a full life. COMPLETED! More than 100 church members cooked, assembled and delivered 360 turkey sack lunches to people working on Thanksgiving Day, our food pantry guests and those in need. Thanks to all who baked, prepared, packed and delivered those sack lunches. COMPLETED! Multiple boxes of personal care items, robes, shirts, jackets and games were given to residents of Trinity Center at Luther Park who live with dementia and Alzheimer's disease.